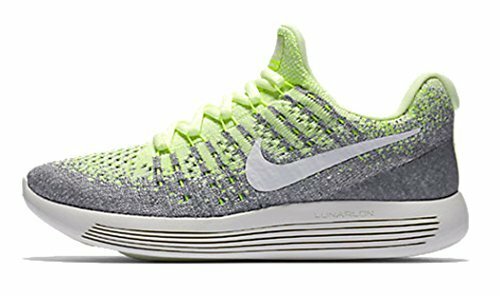 Perfect for long-distance runs or for kids who are just on their feet all day, these lightweight Flyknit running shoes provide the comfort they'll need with bouncy Lunarlon foam cushioning. Step-responsive pods in the sole collapse and spring back with every stride, helping with both support and traction. Flyknit upper construction with Flywire cables comfortably wrap the foot. Contoured Lunarlon midsole delivers an extremely smooth ride. Laser-cut pods on the outsole enhance cushioning.